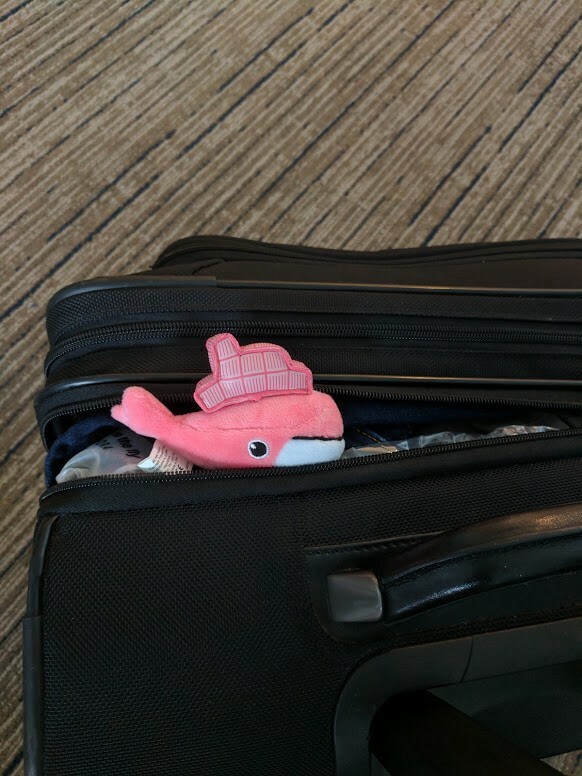 When we last left off with Chloe, she had just finished Day 2 of DockerCon… you can read about it here (or, start from Day 1). Day three started out with a Moby Mingle with Docker Captain Antonis Kalipetis (CTO at SourceLair). 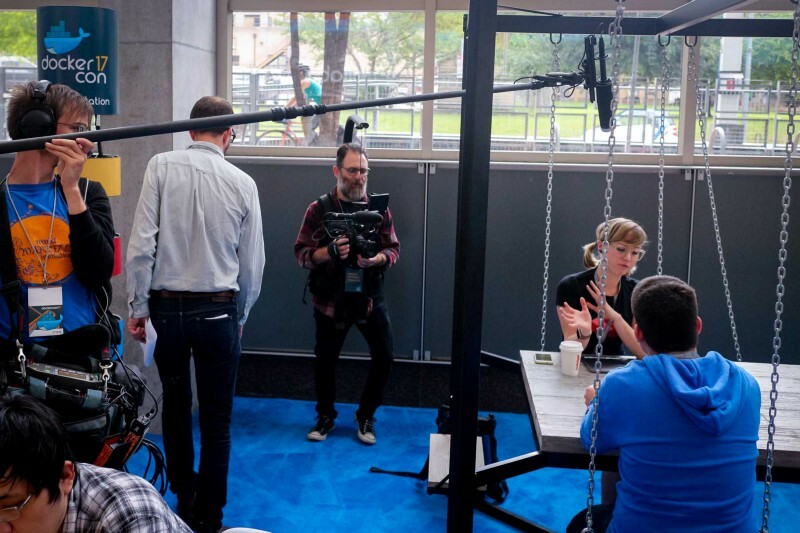 Funny side note: a film crew from Docker was following me around for part of the day and getting some footage of me around the conference. So, Antonis and I couldn’t help but laugh at a boom mic being in between us as we chatted (pictured above). It was great to hear from him about how he got involved with Docker, and about the numerous talks he has given on the subject. He suggested running or getting involved with a meet-up, which I will definitely get involved with! After meeting with Shawn, I trekked over to the ballroom area to see Bret Fisher (Independent Cloud Sysadmin and DevOps Engineer)’s talk. I was really looking forward to this one, since I am taking Bret’s ‘Docker Mastery’ Udemy class online! I loved the Star Wars theme of Bret’s talk, and learned a lot! Upon arrival at the Codefresh booth, Jesse White (Principal at Contino) stopped by to say hello! He was about to begin his talk, so I made my way over to the stage to check it out. Jesse and Luisa M. Morales gave some excellent tips on how to run successful meet-ups. The two of them stressed the importance of creating a good team of volunteers, and having open and trustful communication with those involved. I walked away from their talk not only excited to host my own, but also very excited to perhaps someday work with the two of them at Docker NY event! After doing some demos at the booth with the Codefresh team, Fontana Lorenzo (DevOps Expert at Kiratech) stopped by to chat. We had a nice talk about his involvement with Docker- he had a lot of great tips to share! Timothy Haak (HaakCo) popped by the booth as well, and gave me a bunch of encouragement to write about my experience with learning Docker. “There will be a moment where it all clicks” he said. I can’t wait to email him when it does! Rounding out my final imaginary Docker BINGO card spot was Tony Pujals (Director of Cloud Engineering at Appcelerator). Turns out, Tony knows the Codefresh team already and is good friends with our CEO Raziel Tabib. Tony runs the Docker meet-ups in Mountain View, so I’m sure we’ll be working a lot together going forward. I’m excited to help Tony and assist with some future meet-ups! 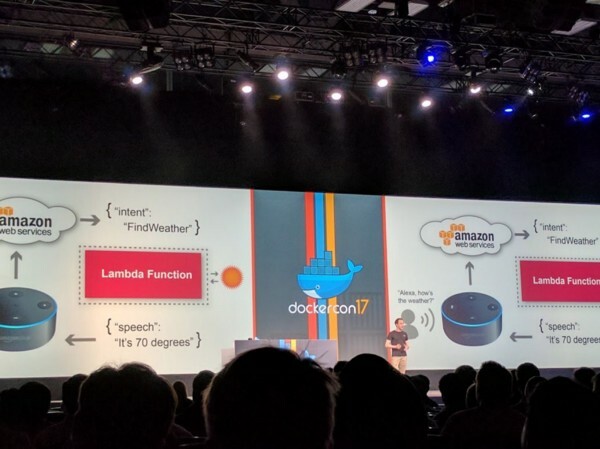 I then headed back to see the final DockerCon announcements. They featured the winners of the Moby’s Cool Hacks sessions. One of the winners was Alex Ellis, who presented Functions as a Service (FAAS). It was very cool to see what he created- and pretty cool to see Alex up on stage after running into him on the street the day before. Congrats Alex! 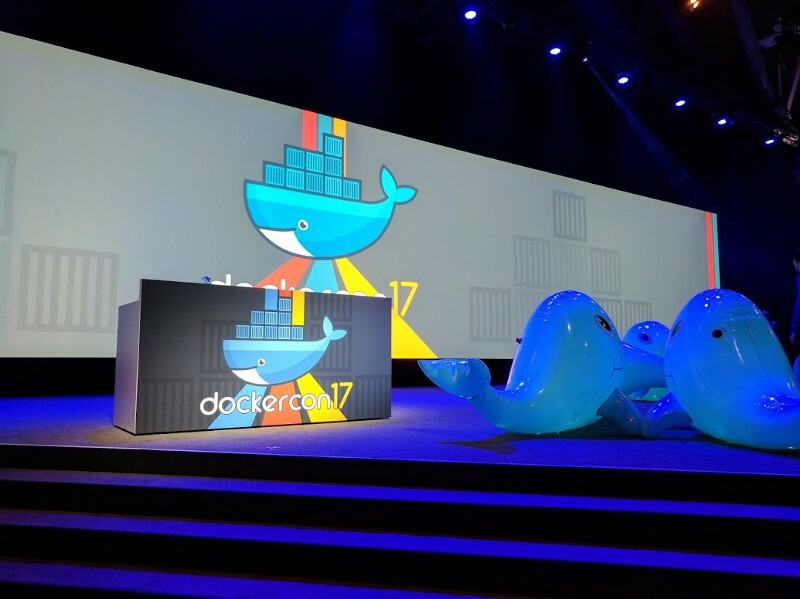 At the end of the final presentation, Docker announced that next year’s DockerCon would be in San Francisco. 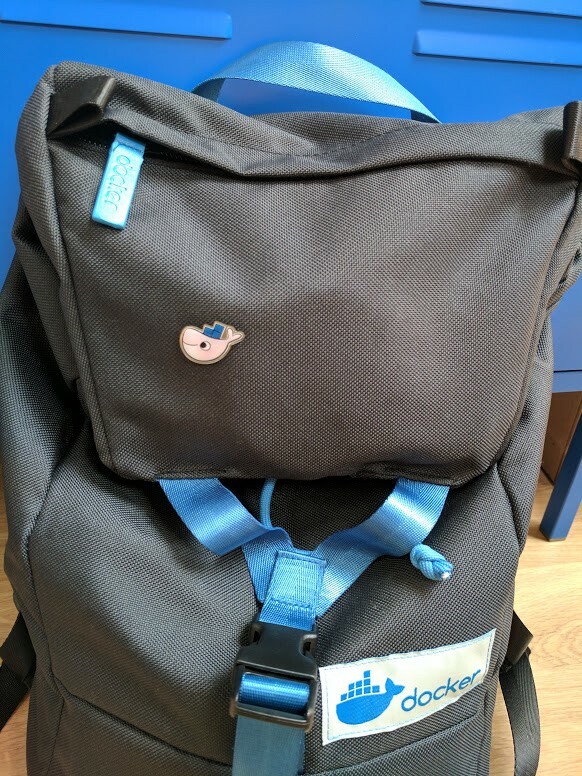 I’m so excited for next year- and I’m already counting down to my second DockerCon in 2018! To my surprise, my final total of Docker Captains was 16! 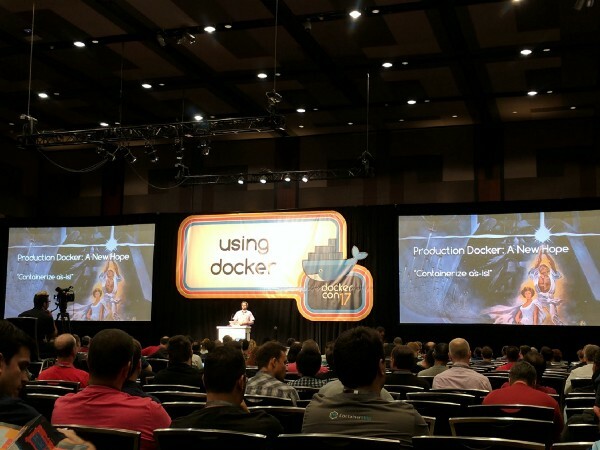 When I originally planned to meet with some captains at DockerCon, I thought for sure that only a handful would reply. 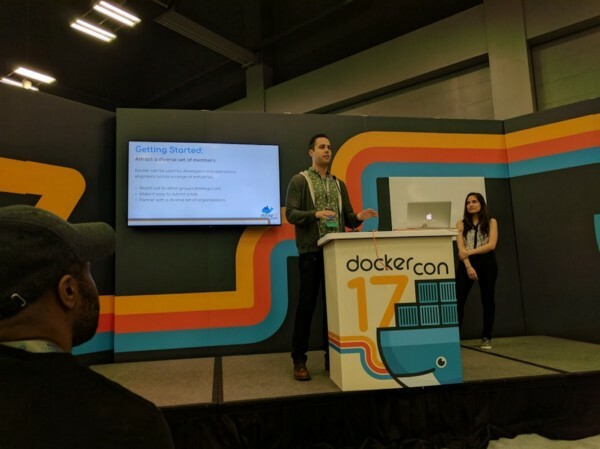 I could not have prepared myself for the wonderful enthusiasm, love, and passion for spreading Docker knowledge that was shared with me during my time in Austin. I can not express how thankful I am for the incredible Docker Captains I met with over the course of 3 days. I look forward to keeping in touch with them as I navigate my way through Docker, and who knows- maybe next year I’ll be captaining with them as well! Developer Evangelist at Codefresh. Hackbright Alumni/Ambassador/Mentor/frequent conference speaker. Former actress, and one of the only humans who can code while singing the entire score of "Pirates of Penzance".